Stacy Horn » Blog Archive » I love the perfume guy at Bergdorf’s! I love the perfume guy at Bergdorf’s! 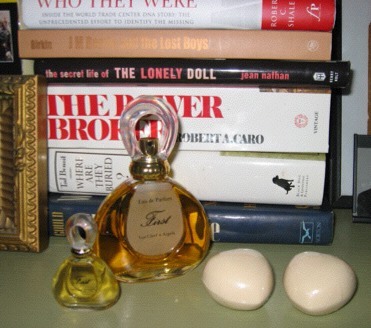 I went to Bergdorfs to buy a bottle of First perfume, which I had run out of, and while it was being rung up I gushed, “I just love this perfume,” because I do and I was so happy to have a new bottle. One of the men who worked there said, “Wait a moment. I’m going to get you a present,” and he went off and came back with a box with two First scented soaps and a tiny travel sized bottle of First perfume! !